“Teatoxing”, detoxing and cleansing are all similar terms used to describe the process of helping the body to eliminate unwanted toxins. Unfortunately, with pollution and unhealthy lifestyles, our natural detox systems – liver, kidneys and skin – are often struggling to remove the waste in a timely manner. Stress and other lifestyle factors tend to slow down the process even further, undermining the body’s ability to combat this. Why You Should Use Detox Teas? Detox teas are one of the best ways to naturally cleanse your body. These teas contain herbs that help detox your body and that in turn helps to boost your energy, lose weight and even reduce stress. I have been doing a regular detox for the last two years now and I can truly say what an amazing difference it makes to your overall health and well being. Regular detox really is essential for maintaining good health because our bodies tend to become overloaded with toxins from internal sources such as processed foods and pesticides and external sources such as environmental pollution. Unless these toxins are flushed out at regular intervals, the body will stop functioning properly. I have been studying and researching various ways to detox and I have tried most of the detox programs that are out there and I must admit, one of my favourites ways to detox are detox teas. Detox teas are considered to be most effective when it comes to natural detox and weight loss. With so many detox teas available in the market, you may wonder which one is the best for you. So, I have created a list of five amazing detox teas that I have used myself with great results for weight loss, energy boosts, better digestion and so on. These detox teas that I am recommending here also taste great (except one) and are quite affordable too. One of the most effective methods of detoxifying is to support the organs that take part in this process, especially the liver. To achieve that, it may be recommended to consume a balanced #diet, including certain types of #tea that are especially high in #antioxidants. This tea really works, but don't just take my word for it, check out all the positive reviews this detox tea has. It is certainly effective and particularly good for those who have serious abdominal bloating. 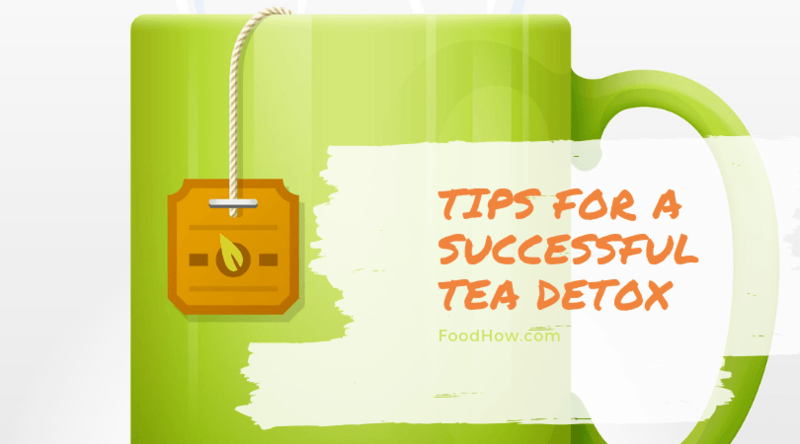 However, it should be kept in mind that this tea is not very gentle on the stomach, especially if you are new to detox, so you should be prepared for increased bowel movements. This organic detox tea is certainly one of the best and also very effective detox and cleansing tea drink for Women and also for Men. However, this is one of the newer teas in the market, so there aren’t too many reviews available but yet again, it did work for me really well and I would definitely recommend to try it out. This detox tea is an Amazon #1 bestseller and boasts of a great brand. It enjoys some great reviews online, it was also one of the first teas I did try when I started to detox. My results with this tea were absolutely great, however, the only downside I found was the taste, I didn’t find it particularly pleasant but a lot of people seem to really like the taste so it is best if you try it out for yourself. This one is great for cleansing and for anyone whos looking to slim down. Yogi is one of the best-known brands of teas and has been in the market for a long time and enjoys a great reputation with the customers. I have been using this tea most often for my detox. Again, absolutely amazing results, and they do different flavours of the tea, some of them a super nice. However, what I noticed with Yogi detox tea was when consumed for a long time, it can begin to show some side effects, which included dehydration, diarrhoea, and vomiting, it could be just a case of me overdoing it because I really liked some of the flavours. Yogi detox tea is really a great choice but I would say not to use it for a long-term, I am talking about using it non stop for 6 months and up, try out the other teas to take a break from it and then you can go back to Yogi again. This tea is great, definitely one of my favourites. Once you try it, you would know why. It worked like a charm and it tastes amazing. It is a great tea if you have never done a detox cleanse before as it is surprisingly gentle on the stomach. The taste is citrusy that I really really liked. However, I didn’t get very dramatic results in terms of weight loss as I experienced with the other teas but that could have been because I didn't have much weight to lose anymore at that point. But it did make me feel really healthy, cleansed and really relaxed. So, I would definitely urge you to give this one a try first. These specially formulated #detox #teas contain a carefully crafted combination of herbs that aid #digestion and encouraging waste disposal. 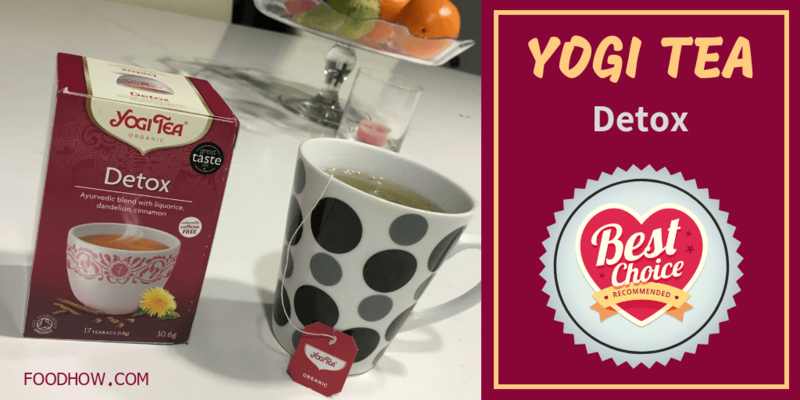 All the teas above have produced great results for me so it was quite difficult to choose the best one but if I really must choose, then I would probably go for Yogi Detox Tea. I’ve been drinking this tea for a while now, and it’s already become a staple in my pantry. Ran out a few days ago and certainly noticed the absence of my now-staple for an evening cuppa and as I was going to order some more on Amazon, I noticed the new flavour that they had released, Dandelion and Cinnamon. I absolutely love this new flavour and that is the only reason I am choosing Yogi as my top favourite detox tea. I’d say give this one a go if you enjoy spicy, warm, rich flavours, you will typically find this kind of mix in a curry, no less. When I first tried it, liquorice and cinnamon were definitely dominant flavours, but the more I drink it, the more other components stand out. It’s a really complex flavour. There’s also dandelion, cardamom, black pepper…mmm, it is difficult to explain the flavour really and judging by the ingredients you may be bit sceptical but once you have tried it you will be pleasantly surprised. I think this tea is best for colder months or in the evening since the warming effect is pretty much instant, followed by sweetness and slight bitterness of herbs. I’ve heard some people make ice tea from it though, and with great success – yet to try it myself. As for the detox benefits, whilst I’m cautious about attributing all the positive changes solely to my Yogi tea addiction, I’ve definitely been feeling much more energetic and refreshed with a noticeable weight loss. My obligatory afternoon bloating has also been visiting my tummy less frequently, so there’s that too. But mostly, this tea is simply delicious, and I highly recommend it to anyone who loves tea and enjoys wants to cleanse their body. The only negative thing about this tea that I can think of is increased bowel movement, however, it only happens if I drink more then 4 to 5 cups a day in short intervals, but that said, it can probably be a part of the cleansing process and that is why I have got such a great weight loss result out of it. As this is a new flavor it is probably not available in all the shops yet but I did get it here on Amazon. Buy your teas only from trusted brands. There are too many shady companies out there selling health products, but these products can do more harm than good. Make sure you do your research and check out the reviews before you make a purchase. Do not ever go for crash diets that starve you, because you may lose a lot of weight in a short time, but the side effects may be serious. Use your detox teas alongside healthy eating to lose weight and get rid of toxins. Do not look for the cheapest tea, you get only what you pay for. This does not necessarily mean that cheap tea would be a bad one. Again, check facts and do your research. Buy only organic detox teas if you want results. Organic teas are a bit more expensive, but offer much better results in the long run. Listen to your body. What works for everyone may not work for you. If you start experiencing any side effects, lower the frequency or discontinue the tea and try a different one. Now that you have the information on some of the best detox teas available, its time you get started on one. Let me know in the comments below which detox tea did you try and the results that you got with it. If you are using one that I did not mention here and it has worked really well for you, then please share it in the comments below also. Detox program that is designed to facilitate a rapid weight loss. As you learned above, herbal teas are one of the easiest and most effective ways to detox and if you want to get really serious about fitness and weight loss then here is a full step by step weight loss and detox program - The Red Tea Detox. 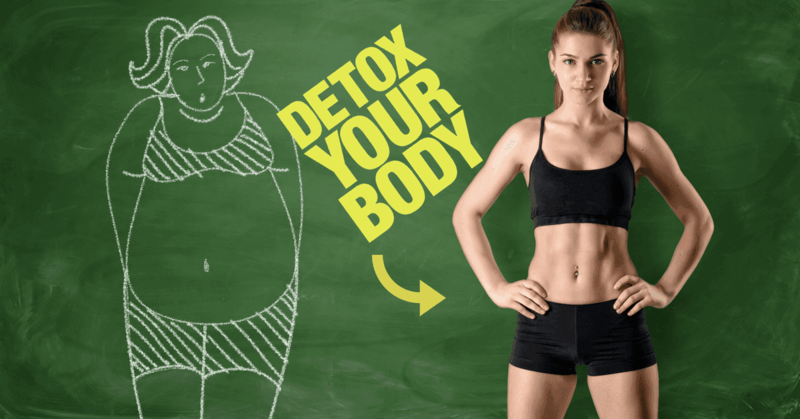 It is the latest buzzword in fitness circles and it is probably the most comprehensive detox system around at the moment. This detox and weight loss program covers every aspect of health-right from fitness and weight loss, emotional well being, mental health and more. The best thing is that it is all put together in a fun and easy to understand digital system called The Red Tea Detox. Red tea is great but this program is more than just drinking tea. So, What Is The Red Tea Detox? It is a unique weight loss system that has its roots in the ancient African times. The program revolves around a remedy tea that is known to boost metabolism and melt away fat. However, this program is much more than just drinking tea. The program is a brainchild of Liz Swann Miller, who is a six-time best- selling author. She has been a practising naturopathy for over a decade. She is extremely popular within the health and fitness industry and is best known for her unique approach to helping people achieve their fitness goals. Her uniqueness lies in the fact that rather than focusing on tasteless diet plans and gruelling fitness regimes, she focuses on natural methods and remedies from the past. She stumbled upon this unique tea recipe during her travel to the interiors of Africa. The best thing about this tea is that all ingredients can be easily found in departmental stores. Everything about this program is packed together in the digital form in The Red Tea Detox. In addition to the recipe for this energizing tea, this program contains an abundance of information that will help you get the most from this detox system. Diet: This component focuses on the importance of detoxifying your body before making any weight loss efforts. It explains how toxins affect your metabolism and how red tea cleansing can help your mind and body. It outlines the energy-rich foods that can help burn fat fast. Exercise: This section outlines a variety of exercises that will complement the diet and help burn body fat faster. When combined with the metabolism boosting diet, these exercises can potentially help achieve double the weight loss. Each chapter is further divided into sections that beautifully elaborate each step of the process. The Red Tea Detox is a comprehensive and easy to use detox program. People across the world are already using it to achieve their weight loss and fitness goals. Going by all the success stories, we can easily conclude that it helps to lose weight quickly and easily while also helping you lead a healthier and happier life. Unlike most other weight loss programs, this one follows a holistic approach and is easy to follow and stick to. So, go ahead and try it out, there is nothing you will lose besides the unhealthy fat. Discover The Amazing Weight Loss & Health Benefits Of This Red Tea Now! Yes! I Want To Try It Now! I have only used Yogi’s detox blend from the list above and I try to drink 3 boxes every 6 months for the added boost to my normal tea consumption. I will have 2 cups a day until the 3 boxes are gone and then do it again 6 months later. I do notice that it clears up a lot of skin blemishes, I feel lighter, less bloated, and I tend to lose some weight. This could be water weight but I am happy about it! These are mostly tea blends, right? I love the Yogi brand and I know someone from work who is using the green root tea that you mentioned. She actually lost some weight and replaced this with her morning coffee. She had been drinking coffee for years and this actually helped her get off of it. I do appreciate a good detoxing tea! I love the yogi detox tea. Bought some a while back and lost a little weight. Right now I’m experimenting with the red detox tea and so far I’ve lost 12 pounds. Without dizzy spells or anything. Can any of these detox teas also help boost concentration, I suffer from a lack of concentration when I study, please can you help? My wife bought the Total Tea and I thought it was just a normal tea and I kept drinking it and I felt really good and then she is like, who has been drinking my detox tea 😉 So, I am just wondering, if I could buy something like a Total Tea but even stronger so I would feel even better or if I could just increase the dosage. One of the most delicious detox teas I have ever tried is my own blend. My detox tea recipe is as follows: blend of green tea and lemongrass and bit of ginger and coconut and also dandelion leaves. This tea is sweet and refreshing, I could drink this all day. Feel free to copy my recipe. These are all awesome blends as I did read the ingredients and the reviews, haven’t tried all of them yet though but so far, love the Yogi brand. Loved this article Jen! I’ve seen many articles talking about detox teas and its effects to weight loss but I’m a bit nervous to hop on the bandwagon, would you recommend these? Belly bloat and also cramping are my main problems, never really thought about the benefits of using Detox Teas, glad I found and read your article, I could have not been able to choose between all those teas that are available. Very helpful for me. I have had stomach indigestion problems for quite some time now an I tried a detox tea and I’m getting better now, whatever herbs they have in these teas seems to be good for the digestion. Very informative and well-written article! These teas seem like a very good option for helping reduce cravings and getting those stubborn pounds off. I have used the Yogi detox tea in the past. I am really not a fan of the flavor but the results are worth it. I tend to only use it for 10 to 14 days and take a break from it. I do it as part of my 3 month cleanse. Every 3 months I make sure to eat and drink very healthy detoxing foods and drinks in order to cleanse my digestive system and my liver. I might try one of these other teas next time. Which tastes best? I’m a big fan of treating your body with love, no matter where you’re at in your journey, and teas are one of my favorite ways to do that! I’ll have to try that Yogi tea – it’s the only one I see here that I can get in a store. 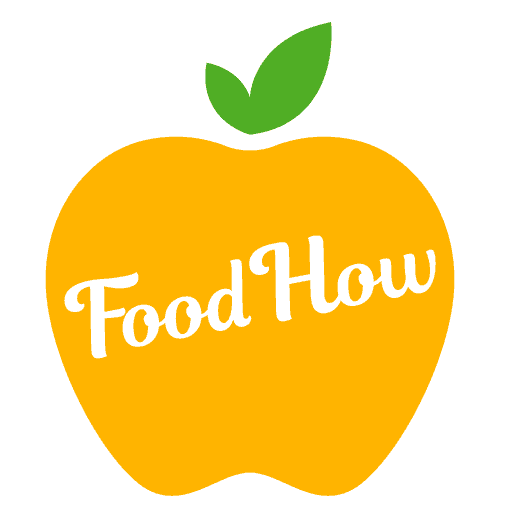 I’m not a huge fan of “programs” or “diets”, so I love to try and work my eating habits into things I love. Eating good foods and drinking teas that bless my body are often part of my daily routine, but I love having a special night dedicated to taking care of my body – tea for the inside, nice long soak in a bubble bath for the outside, with my favorite podcast or a book. Having a spa night is the BEST, and I encourage all women to try it – especially those who have been beating themselves up and stressing over weight loss woes. Ohhhhh my DUDE, I love this. I need to start having a spa night. I used to, but with everything being so busy it’s just kind of gotten away from me. I’m on the same page with you re: women beating themselves up over weight loss. There’s a gentler way to make sure your body gets some TLC than just staring at the scale and hating yourself! I am NOT about that life, let me tell you. I would much rather soak my fabulous self in bubbles and have a nice cup of tea! I am a SUCKER for a good tea. I’m definitely the rainy-day, curl up with a book and a good cup of tea type! I’m always looking for new rainy-day friends, so these ought to be just right! I’ve always loved teas, but for some reason the idea of teas for health had never actually crossed my mind. Thanks for giving me a starting point to research that!